Our goal here at Vancouver Limo Service PDX﻿ is ﻿to provide Portland, Oregon and Vancouver, WA with the most significant level of customer satisfaction plausible. Our drivers have all completed numerous training programs and will provide you with an exceptional experience. 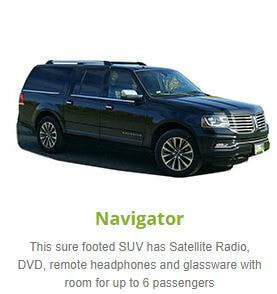 Here is some more info we guessed you might find interesting regarding Vancouver Limo Service PDX. Complete privacy offered if all patrons are over 18. Vancouver Limo Service PDX has proudly been serving the Vancouver/Portland area with our limousine services for years. The area has a tremendous amount of backroads to cruise up and down, because, well, who likes traffic? If you are getting married or on a quest to get a good buzz going, we can help you find the perfect winery for that long over-due wine tour with your best friends. Additionally, a list of limo services we provide is below. Vancouver Limo Service PDX has been providing the following limo services in Portland for multiple years. If you don't see the limo service you are looking for, don't worry, we probably offer it. Please call Vancouver Limo Service PDX at (503) 673-9800 or complete our free instant quote form above and we will proudly contact you asap. We want to hear from you. If you have any questions, comments or concerns with any service provided by us, we would like to be privy to them. Don't hesitate to reach out! Thanks again for booking with us here at Vancouver Limo Service PDX!